A few months ago, Former Sports Cabinet Secretary Rashid Mohammed Echesa was accused of Human Trafficking when women from Pakistan were arrested for allegedly being brought into the Country illegally by Echesa to perform at a Balle Balle Festival. As the incident fades the Kenyans’ minds, other women have been again arrested in Mombasa. 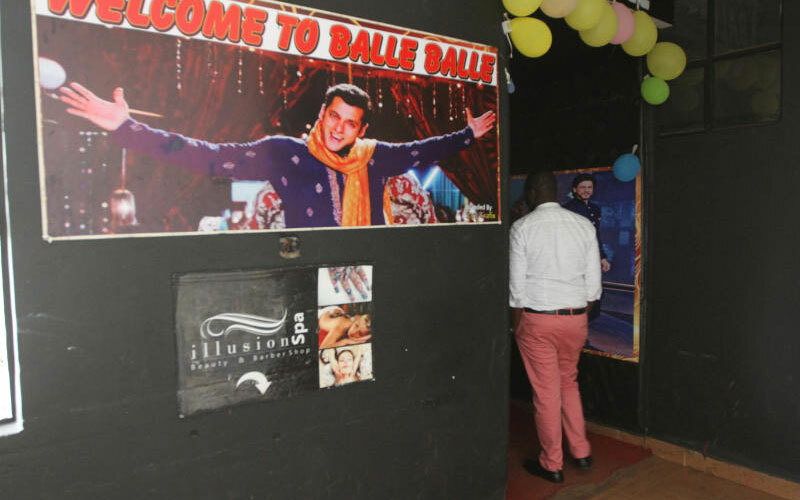 The Twelve Nepalese women were illegally working at a club in Nyali. Club owner Asif Jetha is in police custody. Twelve Nepalese women working at a club in Nyali, Mombasa, arrested for being in the country illegally; club owner in police custody. The women were arrested during a raid at Rangeela grill and bar at Amkay Plaza. Officers said Jetha will be investigated over human trafficking.The Nepalese women were ntertaining revelers at the club. Twelve Indian women illegally working club Rangeela grill and bar at Amkay Plaza. in Nyali, Mombasa, have been arrested. Asif Jetha who is the club owner is in police custody. During the operation, Jetha said the women had temporary passes.A search was conducted at the club and money, mobile phones and documents were recovered. The suspect and the immigrants will remain at the Nyali police station pending further investigations.